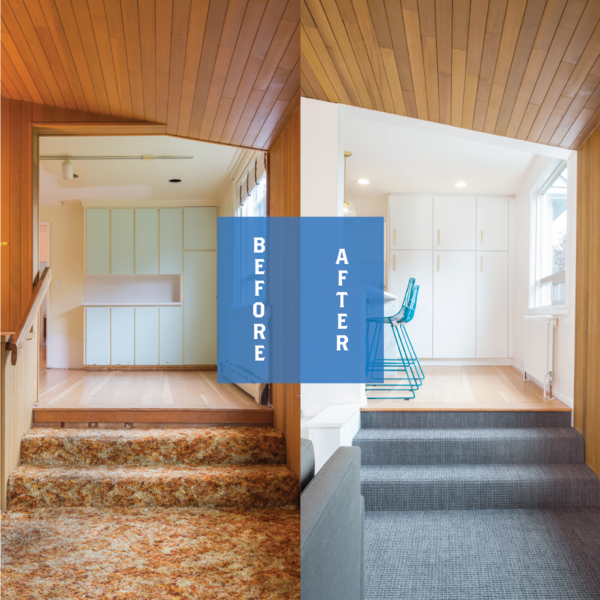 When this stylish family moved into their dated, Ballard home, a remodel was quick to ensue. 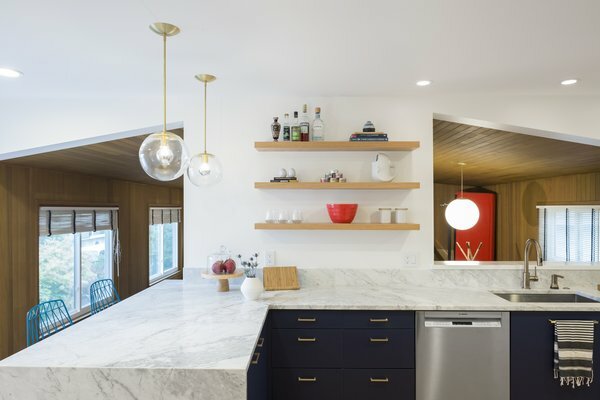 One of the homeowners, being an architect herself, created reimagined versions of the two most-used spaces. The updates would bring the home out of the 70s and into a new era without shag carpets or wooded walls. The project couldn’t have been more personal. 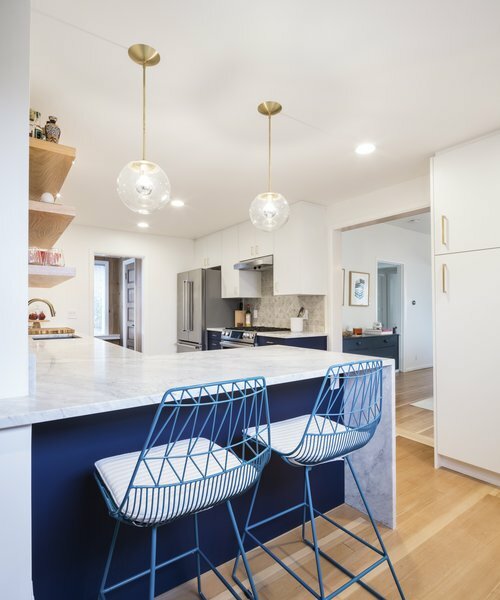 Adding a bold blue to the kitchen, sublet pops of accent colors and modern, geometric patterns—the resulting kitchen and living room are now two places you’d want to spend some time in. 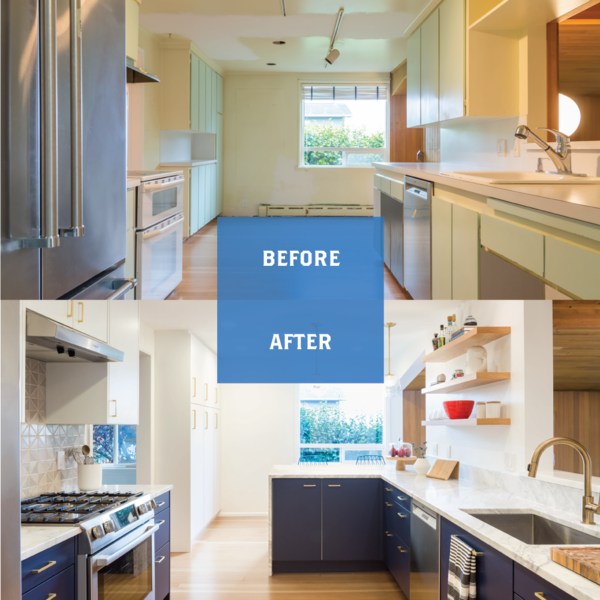 The kitchen received a full remodel with new cabinets, countertops, tile and shelving. 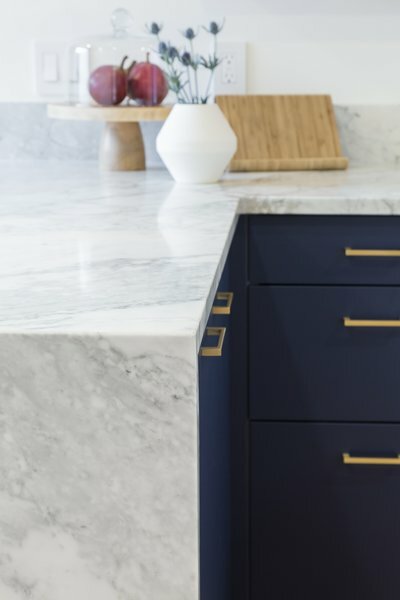 Custom, navy doors were purchased from Semihandmade, a vendor for custom doors that fit on Ikea cabinets. 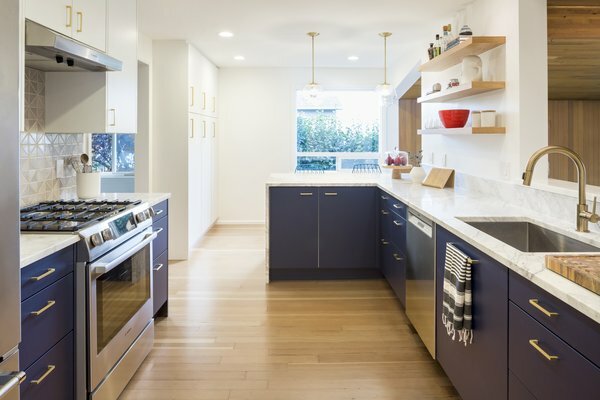 The deep color is complimented by a light, natural quartzite countertops. 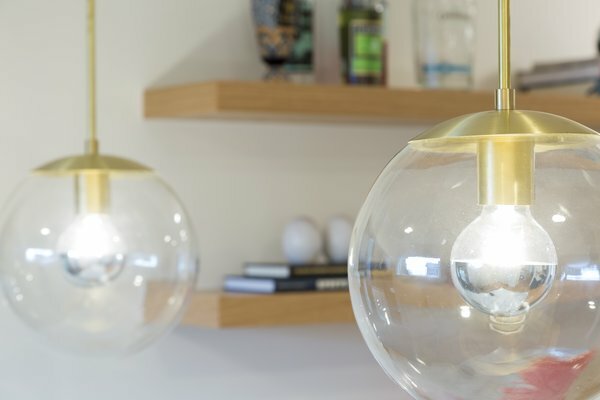 Trendy, but timeless, brass accents are seen throughout in the cabinets pulls and light fixtures. 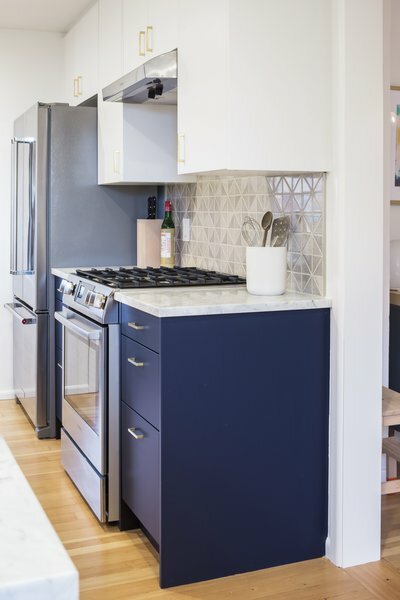 The stove backsplash is comprised of triangle, ceramic tiles in a light gray. 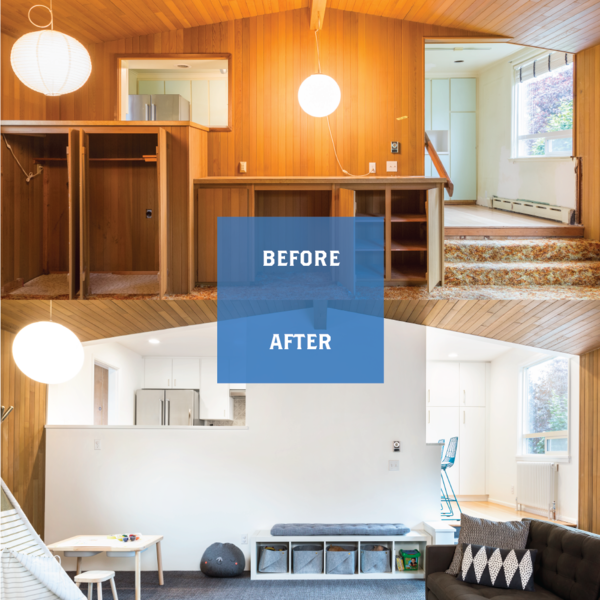 The living room transformation was drastic, removing the wood paneling and wood built-ins from the wall adjacent the kitchen. The classic orange shag carpet also had to go! 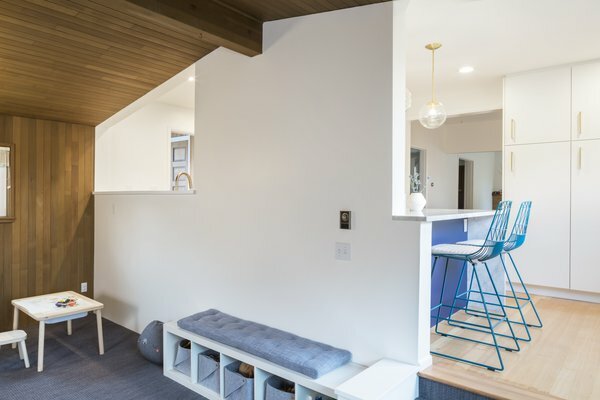 By keeping some of the paneling and incorporating some fresh, solid colors, the room retained its character but feels more cabin-like than stuck in the 70s. 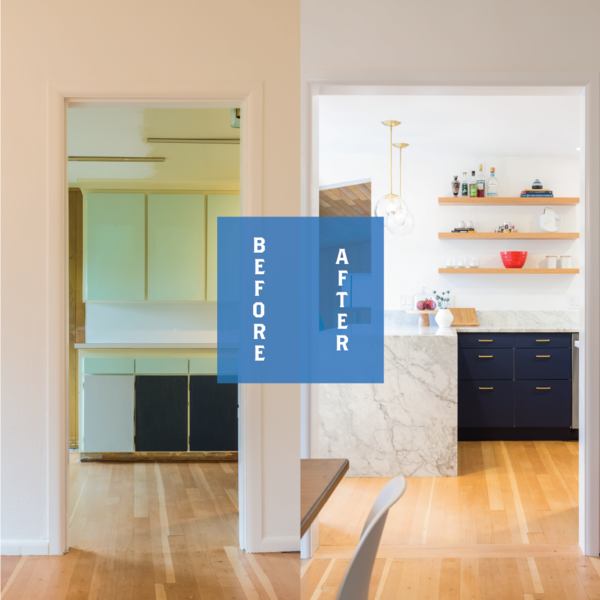 Smart, thoughtful design reshaped the pass-through window and kitchen-to-living doorway to follow the lines of the ceiling. The result is cleaner lines and strong, geometric shapes. 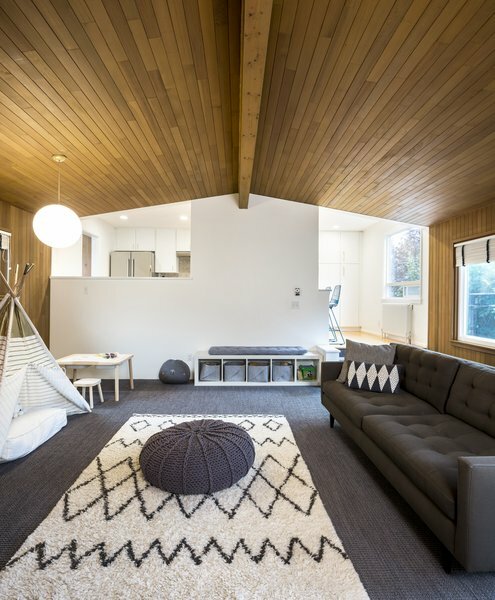 Playing off that, the interior rug, with its geometric pattern, is a perfect fit for the space. Now, the two rooms are not only modernized versions of their previous self, but flow from one to the other effortlessly. 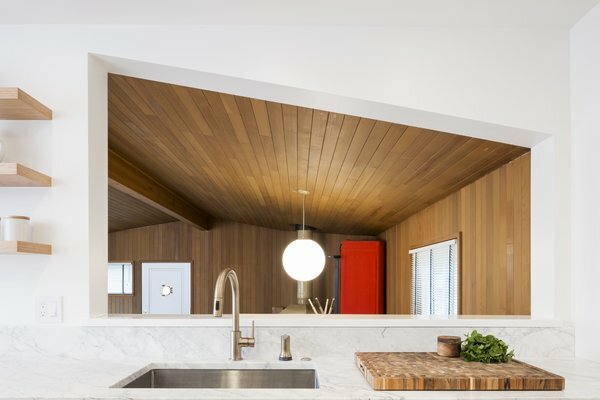 Model Remodel uploaded 70s Kitchen & Living Room Goes Modern Geometricthrough Add A Home.